We are plagued by a sedentary lifestyle these days, many of us spend the majority of our day seated. Unfortunately this isn’t an easy problem to fix, gym memberships are expensive and can be intimidating. Thankfully, Mitch Menaged founded the National Fitness Campaign back in 1979. 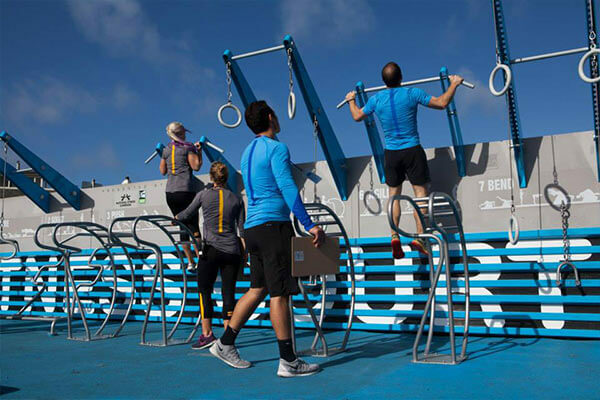 Most recently introducing the “NFC Fitness Court”, a revolutionary new way to bring fitness into the community. 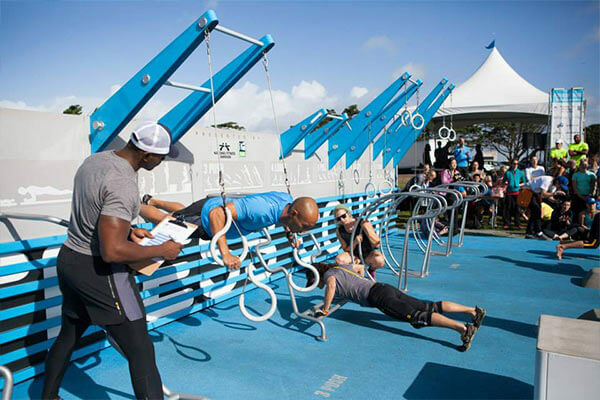 What is the NFC Fitness Court? 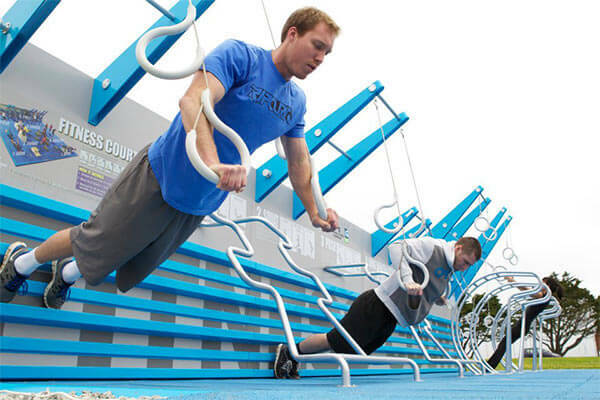 The NFC Fitness Court is a 32’ x 35’ outdoor bodyweight circuit training system. Its modular design allows for it to be transported easily and set up in a half day. First unveiled in San Francisco, California in 2012, the NFC is planning on installing 20 new courts in 2015 and 200 by 2017. Features shock-resistant sports flooring and detailed exercise graphics on the wall. A few things really contributed to the popularity and rapid growth of the NFC court. The first being, it was designed to accommodate individuals of all fitness backgrounds. Whether you are a first timer or an avid gym goer, the Fitness Court was created for a wide range of athletic abilities. The National Fitness Campaign introduced a new way of thinking about community fitness. Funded through sponsorship’s, the courts cost the community nothing. Relying on companies to sponsor the courts, providing them with fantastic local PR. Thanks to the ease of use and sponsored funding approach, you can expect to see far more of these courts popping up across the country, and the globe. We are slowly shifting our attitudes towards a healthier lifestyle, and the Fitness Court is just one example of this. A friendly and accessible approach to health and fitness is key to making a positive change.